With a wide variety of offerings from computers to circus, day camp to soccer, rock climbing to photography, HGTV to rock band, there truly is something for everyone at every age. Fun for your child. Convenience and peace of mind for you. Kids benefit from a longer camp experience. Register for more weeks and SAVE on camp. Why do campers benefit from a longer camp experience? 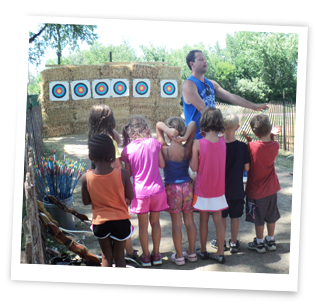 Campers typically need several days to fully integrate and feel comfortable in the camp environment. After this important warm-up period, the magic begins: A child begins to learn new skills, form friendships and build self-confidence. A one-time registration fee is charged for new campers but is waived if camper is enrolled for two weeks or more. Sign up for more and SAVE! Click here to view the 2019 catalog. Click the catalog above to view our 2018 camp programs!